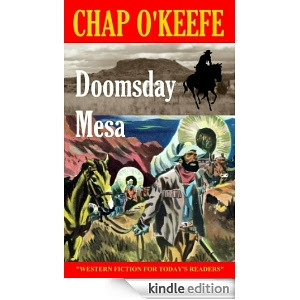 Chap O'Keefe is one of those writers who for decades has been keeping the western flame burning - together with other authors from Robert Hale's Black Horse Western imprint, the author has been delivering thrilling western adventures, ignoring the fact that mainstream bookstores seemed to have forsaken the genre and taking heart in the large readership gained from the public libraries. 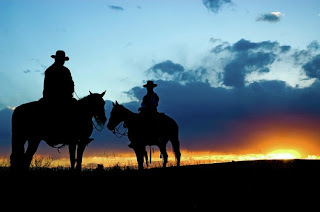 Indeed until recent years Libraries provided the main market for the western, but now with the digital revolution westerns are as easy to find as any other genre - and that, dear reader, is how it should be. Much of Chap O'Keefe's impressive back list is now available for the Kindle, thanks to the author's own publishing imprint which truly deserves to be a success. These days writers have to do all they can to maximise the potential of their work and ensuring the books are available digitally for the new breed of western reader is something to be applauded. The books have to be out there if we are to entice new readers to the joys of the genre. that's just my take on it because I love it when women who have been victimized come back and get theirs. Revenge can be so sweet." pulp legend Paul S.Powers, talking about Liberty and a Law Badge. coolness of a hired gun." 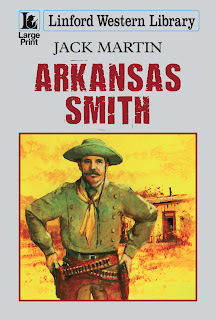 ". . .the quintessential action-packed western." And here's how the promo works - Buy any O'Keefe Kindle ebook, except The Sheriff and the Widow, which is already subject to a special-price promotion, and you get to choose any other O'Keefe ebook FREE, supplied to you as a PDF file you can read on your ereader! Send us a copy of the Amazon receipt etc. And name the second book you want, which can be any of the five, including The Sheriff and the Widow, if that's your preference. Simply email the Tainted Archive at garydobbs@hotmail.co.uk with the words O'Keefe Kindle in the subject line. 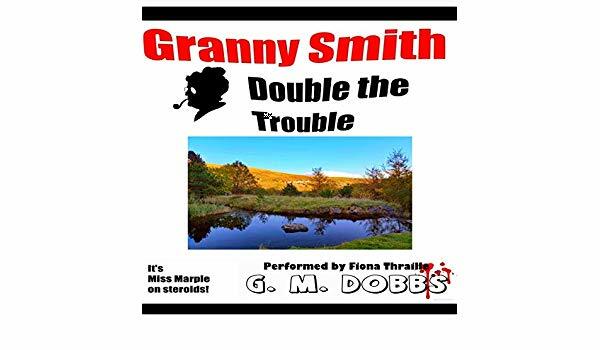 Include your choice of free book and a copy of your Amazon sales reciept and I will pass your details onto Chap O'Keefe who will promptly send out your free eBook. 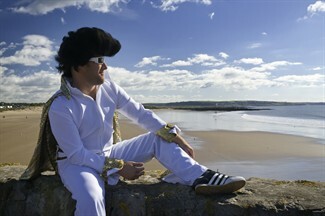 More than 25,000 Elvis fans packed the tiny Welsh seaside town of Porthcawl for last weekend's Elvis festival. I only got to go down there on the Sunday evening as I'd pulled extra shifts in work, but I'm reliably informed that the festival was the best and biggest yet. The Hi- Tide Inn's Elvis show alone featured over 50 Elvis impersonators- all of the town's hotels were fully booked and the streets of Porthcawl were filled with Elvis's - I saw a group of maybe twenty Elvis's walk past when I was there the Sunday evening, though I was too late to catch any of the shows. Though I did catch the tail end of some King inspired entertainment, and as always it was great fun. 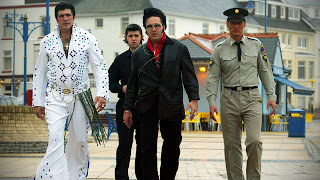 Elvis impersonators Marc George and Juan Lozano, both of Merthyr Tydfil, performed over the course of the three-day festival.They became lifelong friends after discovering their mutual love of the King at an early age. Marc, 46, works as a security guard during the week and plays Elvis gigs at the weekends. He became an Elvis fan at the age of seven after watching the King perform Burning Love on a Top of the Pops Christmas special. Marc performed almost 30 gigs across Porthcawl over the weekend. Next year I'm going to make sure I'm there for the entire weekend. Recently I read an interesting article by blogger, Mark Wallace that bemoaned genre trappings. The article reasoned that many reader miss out on some great fiction simply because they are biased against the genre. This is not a new argument and for many years readers, writers and some publishers have bemoaned genre tags and suggested that all fiction be labelled general fiction regardless of the genre. The argument has some merit because many readers have preconceptions of certain genres - for instance SF is all bug eyed monsters and the western is all rugged cowboys and savage Indians. And whilst these stereotypes are true to some extent the trulyu informed reader knows that westerns, as well as SF can be so much more than this. There are many different kinds of western, and for every penny dreadful type oater there are several other emotive, sensitive masterpieces. The western can explore the human condition to the full and is more versatile than most genres in its ability to assimilate other genres into its boundaries. There are western whodunits, western thrillers, romances and even the odd horror western, and yet the genre is ignored and often sneered at by the mainstream book press. Would abolishing the tag western and labelling the books general fiction make any difference? I suspect not but the fact remains that if you are one of those readers who avoid the western because it is too simplistic, then not only are you under a false impression but you are also missing out on some great writing. Probably the most pure form of storytelling harkens back to the days when primitive man sat around the campfire and told tales of distant lands, great advenure and heartstopping romance - the western is pretty much like that. And now in the age of the eBook there is no excuse not to give the genre a try. Gone are the days when westerns were difficult to track down and most digital bookstores including the giant Amazon have a wide ranging western selection. So come on - saddle up and go read a western. Want a free Kindle O'Keefe? Course you do - find out how later, as the Archive goes into eGiveaway mode. It was great to finally get my hands on this new anthology of pulp western tales from the pen of Paul S. Powers - I've always loved the pulp magazines that were once dominent on news stands, even if most of them had long vanished by the time I was born but I, like many people I suspect, was only ever aware of a handful of the better known pulp writers. 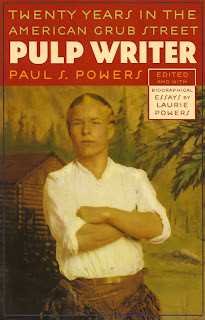 Indeed until a few years ago I had never heard of Paul Powers - I was only six years old when he passed away and by the time I started reading the pulps had vanished, their pages yellowing with the turning of time, their bindings, never the strongest, creasing and breaking. The pulps had been forgotten by most modern readers and Powers, like many of his contemporaries, faded away into obscurity. 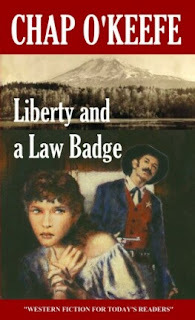 And it was only through befriending the writer's granddaughter, Laurie Powers (a lady who surely deserves some kind of award for her services to keeping the lagacy of the pulp era alive) that I discovered the delights of the pulp westerns. Laurie saw through the publication of her late grandfather's memoirs, which she had found among a collection of his papers, and the resulting book, Twenty Years in The American Grub Street is much more than an authentic story of a working writer during the pulp era - indeed it encapsulates the entire pulp era and is an important slice of the history of popular fiction and students of the pulps owe the lady a great debt. 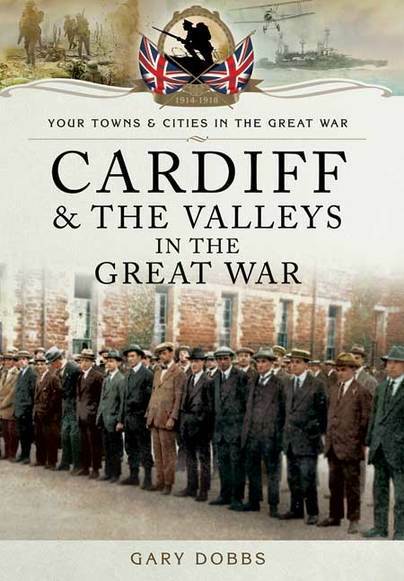 The book is still available and highly recommended. 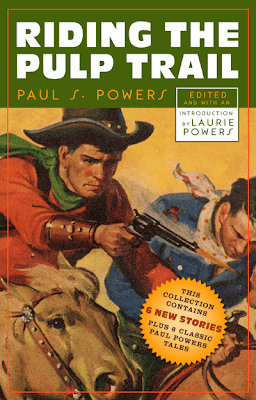 Riding the Pulp Trail is a collection of twelve stories from the pen of Paul S. Powers, with six of the stories recieving their debut since they were never published in the pulps for which they were intended. I actually named this collection, something of which I am very proud because it links me in some small way to the pulp era. How cool is that! And cool would be a great description for the stories found within the lovely retro style covers. The opening tale, Death is Where You Find It ends with a wonderful poetic slice of dialogue which perfectly sums up the stories that precedes it. It starts of at a gentle pace before building up to a furious climax of vengeance and frontier justice. I read several of these stories in the one sitting and finally polished off the final story this morning. Each and every story is excellent and it is clear that Ms. Powers put considerable thought in selecting the tales for this collection. "Paul S. Powers (1905-1971) was a writer of Western fiction and the author of Doc Dillahay, published by Macmillan Company in 1949. He was also a rare book collector and known expert on Western Americana. "From 1928 to 1943, Paul pounded out 12,000 word blood and thunder novelettes every week, featuring his wildly popular characters Sonny Tabor and Kid Wolf, Johnny Forty-five—all written under the pen name Ward M. Stevens—and Freckles Malone, written under the pen name Andrew Griffin. 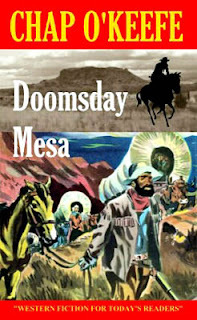 In between writing shoot ‘em ups for his regular heroes, he wrote other novelettes and short stories for Wild West Weekly, some under other pseudonyms and others under his own name." From Paul S. Powers, Pulp Writer. 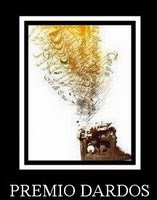 An excellent book - illustarted troughout the collection really does replicate the golden days of western fiction and is a must read for western fans and anyone who enjoys pure storytelling regardless of the genre. 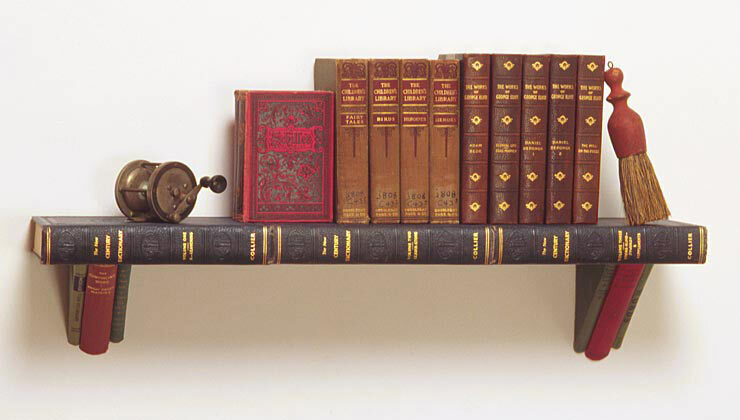 Project Gutenberg, boasting over 36,000 titles in its online collection of ebooks is an amazing. While Project Gutenberg makes it easy to download the ebooks in a variety of formats, a new website, Litfy provides readers with an iPad optimized version of ebooks which you can read on the go, as long as you have an Internet connection. Kindle eBooks are now available in public libraries, with more and more libraries, particularly in the US now supporting the format thanks to Amazon's decision to issue an update that would allow their popular reader to support the ePub format which is the closest we have to a universal eBook format. Once again things have been very surreal in the small Welsh village of Porthcawl as the world's biggest Elvis festival takes over the full weekend - as I write the event is still in full swing. I usually attend myself but this year I had to pull extra shifts in the cab to cover a couple of drivers who had ironically gone to the festival. Still I'm going this evening for the final few events - the multitude of Elvis impersonators provide great entertainment for any fan of the King and as Porthcawl is less than a thirty minute drive from my home it makes perfect sense to attend. 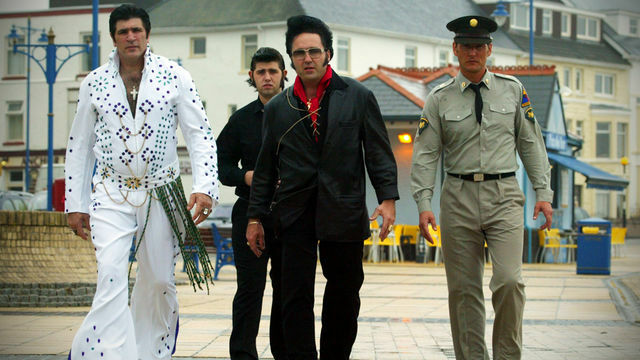 And besides where else could you find several Elvis's parading along the Welsh seafront? Expect the Archive to be all shook up with our forthcoming report of the 2011 festival. William Shatner, the world's most famous man to have "Shat" in his name, angered Star Wars fans when he claimed in a video interview that Star Trek was far better than Star Wars and that George Lucus's space opera was too obsessed with visuals. 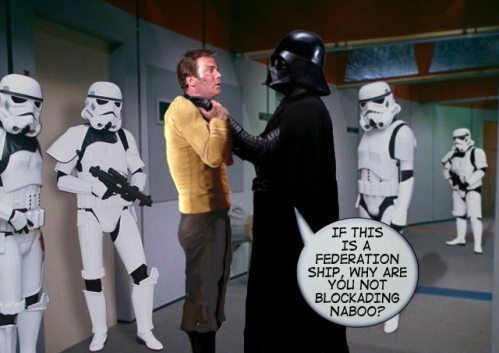 You know what, I think I agree with the Shatner. 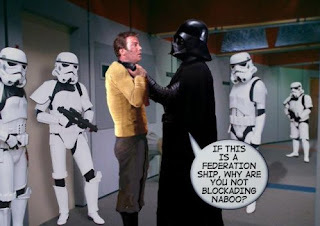 However Darth Vader has hit back by saying that his helmet was much better than Spock's pointy ears and that unlike the Shat he doesn't wear a corset. Check out the Shatner's interview below. they make great gifts for the crime fiction fans in your life. and a very unusual first novel called THE TWENTY-YEAR DEATH by Ariel S. Winter. crime novels, each written in the style of a different famous mystery writer! worthy of the legacy of this great writer. We can't wait to show it to you. while we were away. 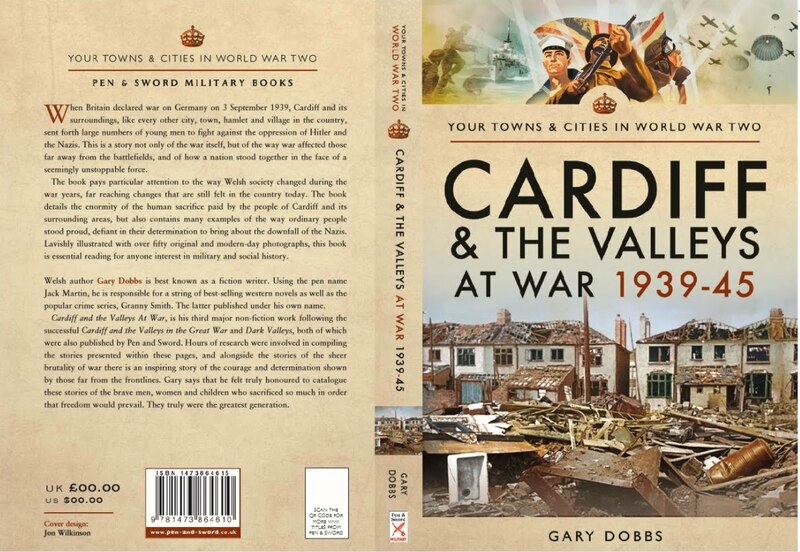 If you get a chance, please tell a friend about our books. 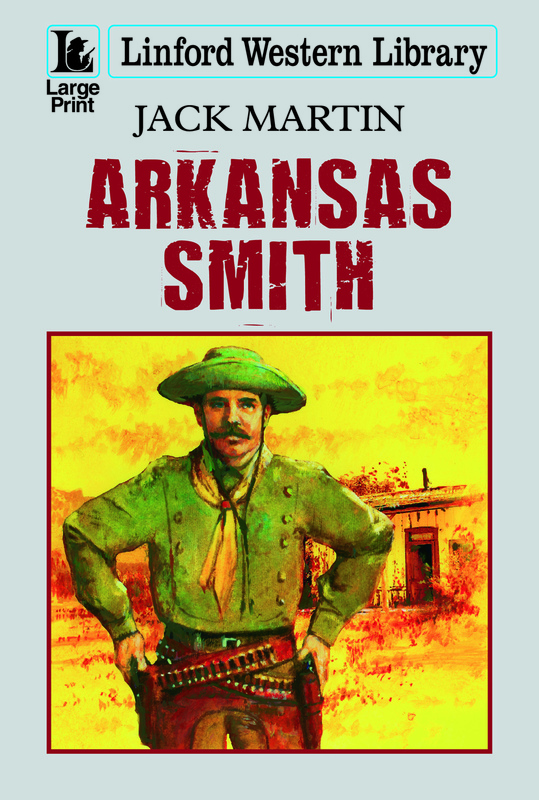 In celebration of the forthcoming eBook of my novel, Arkansas Smith I plan to,from time to time point you towards some great western writers who have made the transition from print to the new digital format, and first up we have western great, Chap O'Keefe who has now built up an impressive backlist of titles available for the Kindle. 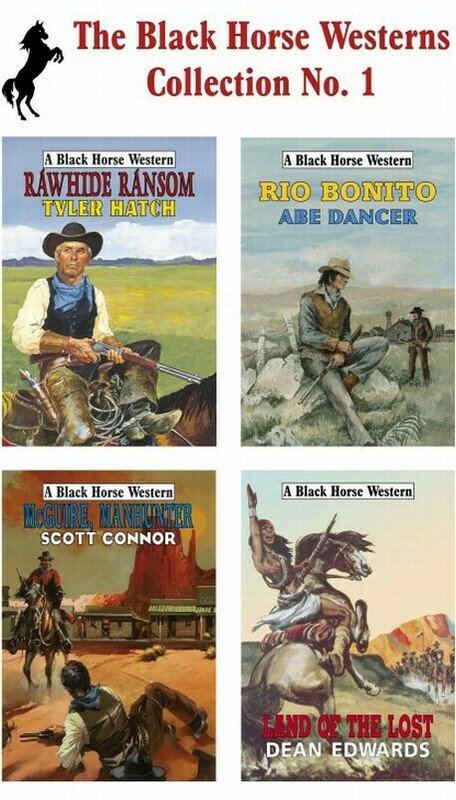 The majority of the titles were originally published in hardcover from Black Horse Westerns and all have received many strong reviews from fans of the genre that is just too tough to die. Readers can find the complete list of available titles HERE. As Keith Chapman, Chap O'Keefe was an editor and contributor to various fiction publications in London in the 1960s before shifting to New Zealand and spending nearly 35 years in newspaper and magazine journalism. He returned to fiction writing in earnest in 1992 with the O'Keefe westerns and edits the Black Horse Extra online magazine. Keith is a special friend to the Archive and is the man responsible for many of those entertaining Sunday Comics we've been running. This November will see Sherlock Holmes squaring off against Sherlock Holmes - he BBC’s Sherlock will go head to head with the Sherlock Holmes movies of Guy Richie in a live worldwide debate on 10th November. Two panels of leading Holmes experts and historians from the UK, USA and Australia will argue which is making the most contribution to the Sherlock Holmes legacy. Both have millions of fans but which is best for the Holmes character? It’s the number one topic amongst serious Holmes fans and the debate will pit two teams against each other - live (MX Publishing, London). Within the first 24 hours of asking for participants a dozen major experts have already applied to be on the teams including the editor of the Sherlock Holmes Society of London’s journal, Roger Johnson and experts from the UK, USA and Australia. Already the debate is set to be the biggest Holmes event of the year. As it is an online debate, some lucky Holmes fans from around the world will be able to participate. There will be around 90 free audience places that will be released some time in October on the Facebook Page for the debate. The event is being hosted by Sherlock Holmes publishers MX Publishing, who have promised that all audience members will receive something special for taking part. Managing Director Steve Emecz explains what prompted the event: “One of our new authors, Charlotte Walters (Barefoot on Baker Street) starts a very tough challenge today – to review each of the 56 Sherlock Holmes stories, one a day for the next 56 days. This prompted us to bring forward The Great Sherlock Holmes Debate to the eve of the last day of her record attempt. 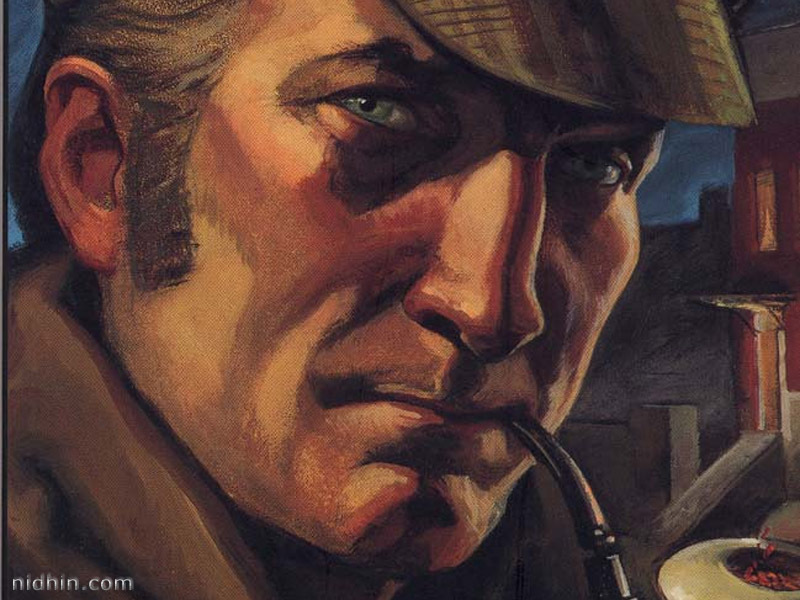 We speak to thousands of Holmes fans and they all have an opinion on the BBC’s Sherlock and the Guy Richie movies. The debate will give the experts a chance to tackle the subject in detail”. Each team will present their case and then there will be an open debate. The proceedings will be recorded for release in a number of formats. On the subject of participants Emecz confirms that they would be delighted to have cast members take part. “We would be very pleased to have those involved with Sherlock and the films, whether on the production side or the actors themselves participate. Whilst the majority of team members will be Holmes experts and historians, it would be fun to have Robert Downey Junior, Jude Law , Benedict Cumberbach or Martin Freeman join in." - Steve Emecz, MX Publishing Other team members include modern day Holmes authors like Dan Andriacco (No Police Like Holmes) arguing for the BBC, and Kieran McMullen (Watson’s Afghan Adventure) on the side of Guy Richie. Mcmullen explains why the films are important “The Holmes of Guy Ritchie is the multi-layered man of thought and action who lives in a real world of adventure unhampered by Victorian restrictions," - Kieran McMullen, Holmes author. Andriacco disagrees saying that the more traditional BBC adaptation is better as it’s more true to Holmes “It’s a fun look at who Holmes would have been if born in the late 20th century without changing his essential character,” - Dan Andriacco, Holmes author. Why did Charlotte Walters choose to mark the launch of her novel with the 56 day challenge? After finishing her debut novel, she simply missed Holmes. "Now that my novel is complete, I miss my daily dose of writing about Sherlock Holmes and have decided to take on the challenge of reading and blogging about one short story every day until I have covered all 56. 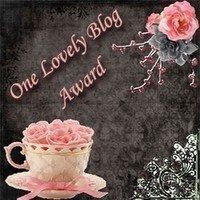 Though it will be a pleasure to re-visit the stories, almost like popping around for a cup of tea with an old friend, trying to do this and write about it on top of my frantically busy full-time job and promoting my novel at book signings etc will be a challenge indeed (Charlotte Walters, Holmes author)." The Great Sherlock Holmes Debate takes place at 8pm UK time, 3pm Eastern Standard Time on Thursday 10th November. 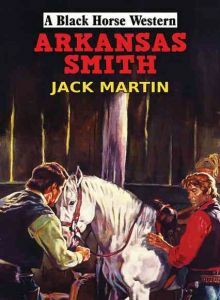 Good news indeed for my Jack Martin persona with there now being three books in the pipeline - the large print version of Delta Rose, the eBook version of Arkansas Smith and next July will see an all new western adventure when Wild Bill Williams sees print. Trade magazine Printing Impressions recently published a report which stated that many publishers are now earning 10% of their income from eBooks - The results of Aptara’s third annual eBook survey of publishers provide unprecedented insight into eBooks’ real impact on book publishers’ production and business models. Representing more than 1,300 book publishers from the trade, education, professional and corporate markets, the report documents eBook trends, challenges, and strategies that have emerged since Aptara’s first survey in 2009. • One out of five eBook publishers generate more than 10 percent of their revenues from eBooks. This is a strong statistic for an early-stage market. Considering the increasing rate of consumer sales projections, it confirms that the eBook market still has plenty of room for growth. • Trade, more than any other publishing market segment, has aggressively increased its eBook pursuits. Trade publishers’ rate of eBook production rose from 50% to 76% in two years. • Two out of three eBook publishers have not converted the majority of their backlist (legacy) titles to eBooks. With higher profit margins than frontlist titles, these digital assets hold significant untapped revenue potential. • Amazon still dominates distribution...but by a steadily decreasing margin. Publishers still rely most heavily on Amazon for distribution, but do so less and less. This trend is more attributed to the proliferation of other platforms and channels, particularly EPUB-based, than a decline in actual sales for Amazon. The result is a larger eBook sales and distribution market. • Amazon generates the most eBook sales for Trade publishers, even though a comparatively small percentage of Trade content is distributed through Amazon. Despite Trade publishers using all of the main eBook online retailers, Amazon is the one producing sales—and, presumably, revenue—by a disproportionate margin (43%). • Publishers’ own eCommerce sites generate the greatest percentage of sales for all publishing market segments other than Trade. Despite a decrease in publishers’ reliance on their own eCommerce sites for distribution, these sites are producing the most sales for publishers by a significant margin (up to 18%). Amazon announced Monday that George R.R. Martin, author of the Song of Ice and Fire series, has become the 10th author to sell 1 million Kindle e-books. The popular series, the basis for the HBO television series "Game of Thrones," has just five, fairly massive books: "A Game of Thrones," "A Clash of Kings," "A Storm of Swords," "A Feast for Crows," and "A Dance with Dragons." The long-awaited "A Dance with Dragons" was published in July to an enthusiastic reception, debuting at #2 on Amazon. It remains on the LA Times bestseller list after spending five weeks at No. 1. With the development of electronic technology and the popularity of 3G, eReading has to occupy in people's lives more and more important position. IT consulting firm Analysys International recently released a report, 45% of users use mobile phones every day to read. The consumption of reading by mobile phone is expected to become the new hot spot of Mobile Internet. The rise of electronic reading brings diversity to reading styles. On the one hand is the brand of electronic readers at home and abroad are faced with intense competition; other hand, on the other hand, the function of the increasingly powerful smart phone has become an electronic reading choice of large number of users. Is the short story a dead artform? I'm never moving home again - it'll be months of living out of boxes from here on in, but at least we now have an Internet connection at the new place so The Archive can get back to doing what it's does best. We got switched back on this morning and it's great to see that my novel, The Ballad of Delta Rose is still riding high in the western charts, while my debut novel The Tarnished Star (soon to be filmed as, Lawmaster) is still selling strongly. Incidentally today I signed the large print rights of Delta Rose over to F A Thorpe Publishing so expect a spanking new large print trade paperback on library shelves soon. Charts as always supplied by Black Horse Express. 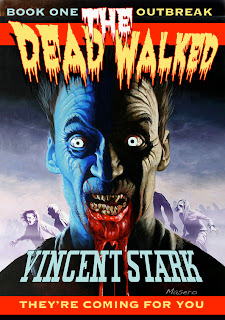 However the big news at the moment is with The Dead Walked which is my first horror novel and will be hitting the digital stores this Halloween. 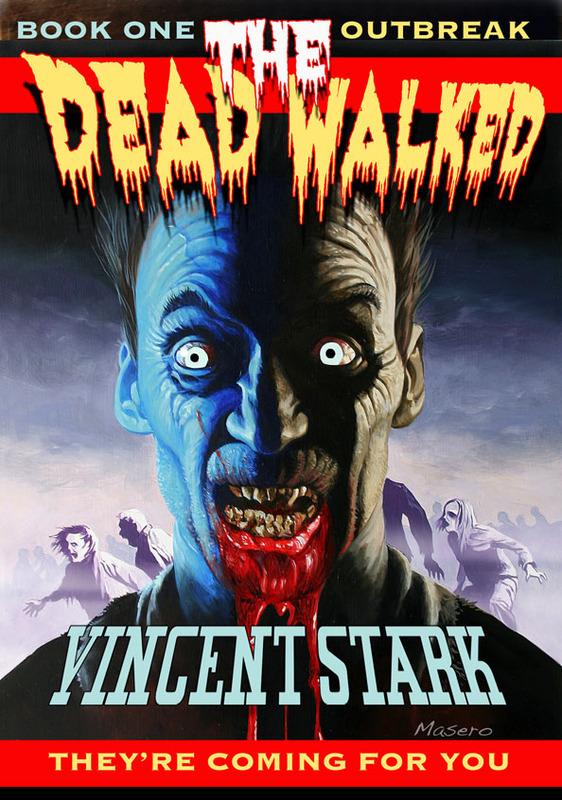 Credited to the pen name, Vincent Stark the book is the first in a trilogy concerning a zombie apocalypse. The book will be published by my own imprint, KitchenSinkPublications and will be the debut novel from this imprint, which I hope to grow and build a quirky list. 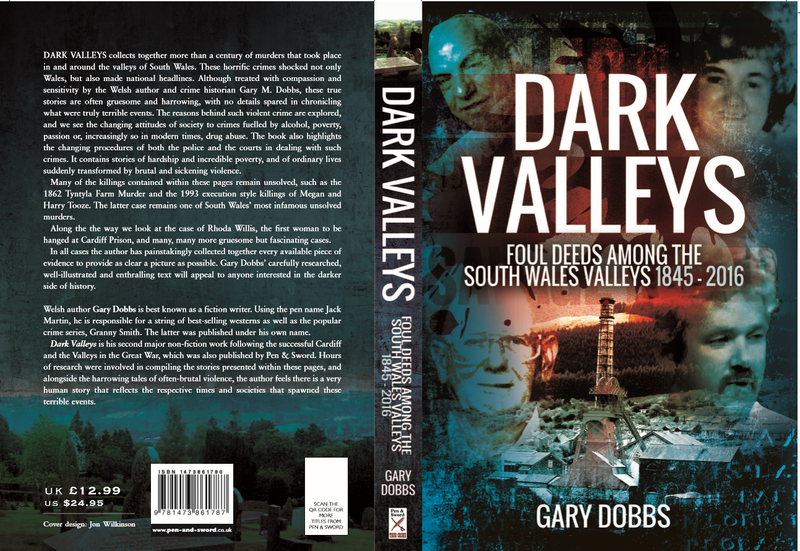 This is my first real foray into self publishing and is something I intend to concentrate on as well as continuing to bring out westerns under my popular Jack Martin byline with my publisher, Robert Hale Ltd. Wild Bill Williams will see print during June 2012 and will be my fifth western for the Black Horse Westerns imprint, and of course the large print edition of, The Ballad of Delta Rose is in the pipeline, so both Jack and Vinnie should remain highly visible. During the turmoil of home moving it's nice to know my current book is sitting at number one in the BHW Western charts, with my debut novel, The Tarnished Star, soon to be filmed as LawMaster, making another appearance in the charts at number six. My books are packed away in a mountain of boxes - I never realised I owned so many books - and I'm ready for my long awaited move to a bigger house. Of course this all means that the Archive has been forced into a hiatus as I'll likely be without an Internet connection for the next week or so, not too mention being too bust unpacking all those books, installing new shelving and trying to get ship shape, to keep the Archive active. However, like the proverbial bad penny, The Archive will turn up very soon. 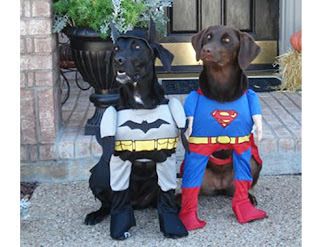 And so in the spirit of randomness of which the Archive is known we leave you with a funny dog piccie. 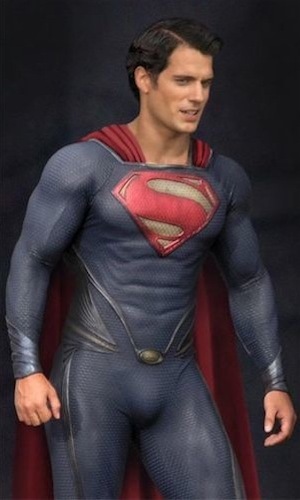 There is much buzz about the forthcoming Superman reboot, The Man of Steel which will be directed by Zack Snyder and hit screens in 2013. It’s still some way off but Superman has always had the ability to get the geeks, nerds and fanboys, of which the Tainted Archive is one, in a spin. 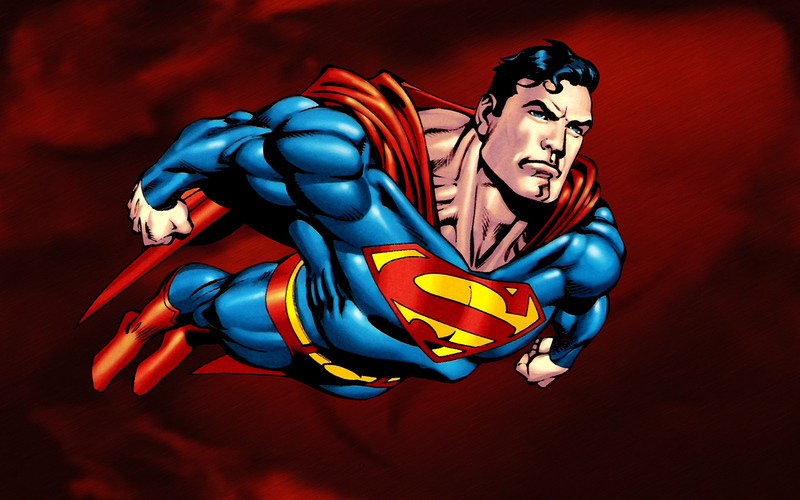 And so in this post, a single blog entry, we will turn you into an Instant Superman expert. These days he may not have the cool of Batman, but Superman was the first superhero and in many ways he is still the best. 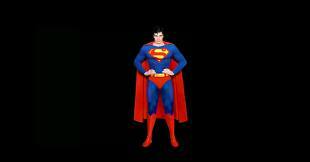 He’s been around since 1938 and since day one has been the most recognisable superhero of them all. 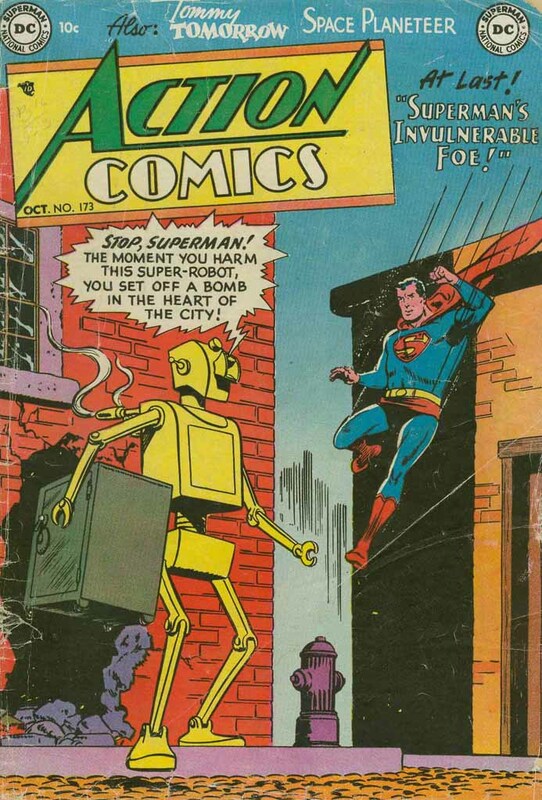 Created by science fiction buffs, Jerry Siegal and Joe Schuster, Superman’s entry into print was arduous. 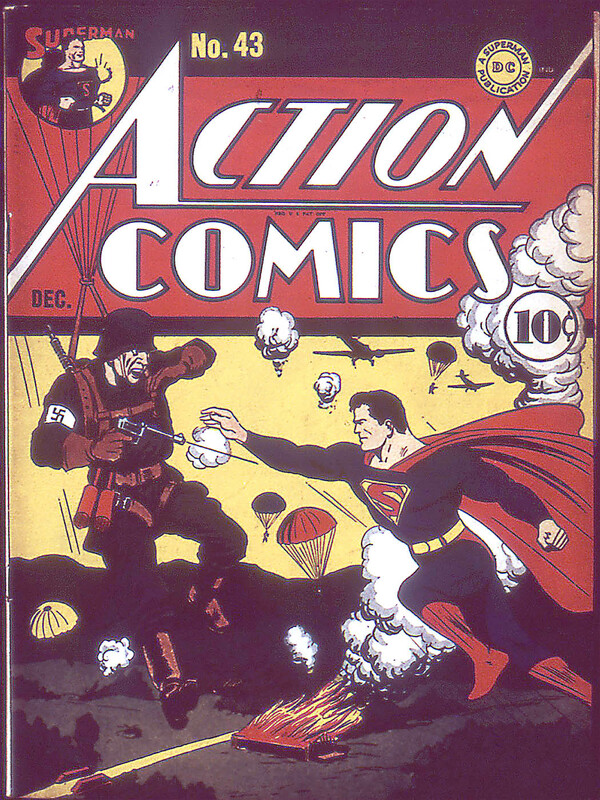 When Action Comics 1 was published in June 1938, the character of Superman had been developing in the minds of his creators for more than five years, and had been turned down by publishers umpteen times. The Man of Tomorrow, it seemed, was too far ahead of his time for the conservative publishers of the period. It’s hard to imagine now, in this age of superheroes, just how unique a concept Superman was, but put yourself in the mindset of a population where westerns and crime stories were the height of fashion, then this story of an alien who gains super powers on Earth and travels around in a skin-tight costume ,righting wrongs and upholding the American way, seems radical indeed. The Superman of these early years was different to the character as we know him today – the biggest difference is that he couldn’t fly but was able to leap over incredible heights and distances. 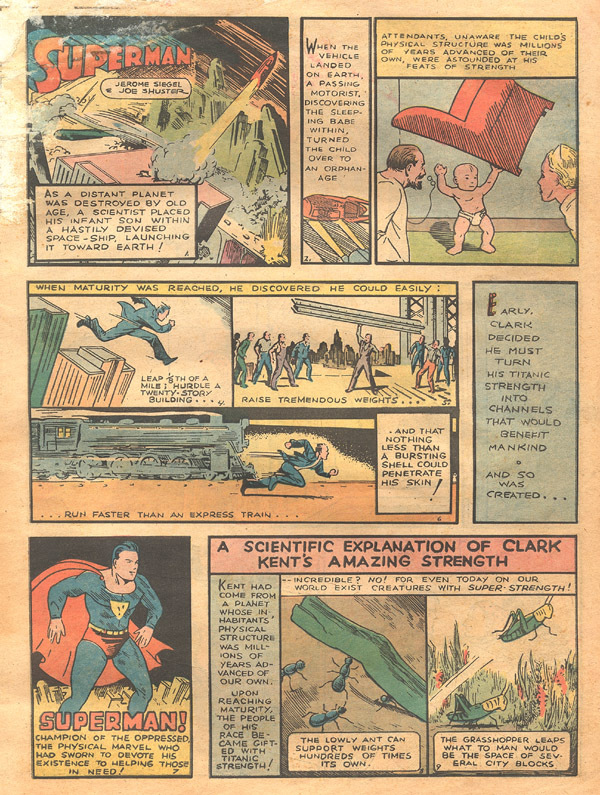 During the 1940′s the character was developed and many of the key elements of the Supesiverse were brought to the fore – Louis Lane as the love interest for instance was an immediate success and the character of today is recognisable in these early strips. The character of Lex Luthor was accidentally drawn without hair for a newspaper strip version of Superman and an icon was born. When the war broke out during this decade Superman’s villains, up to that point run of the mill masked bandits, suddenly took on relevance as Superman was called into service with many patriotic war based stories. Supes was taking his brand of truth, justice and the American way to the Nazis who were decimating Europe. 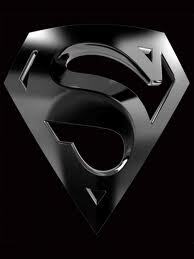 Unlimited super strength, speed, stamina, endurance and durability. Enhanced mental processes, defences, and genius level intellect. Unlimited physical senses (sight, smell, touch, taste, hearing). Ability to perceive the entire electro-magnetic spectrum and various other forms of energy. Flight across the universe to distant galaxies and solar systems,flying through space warps near earth and emerging many light years away. Precise muscle control and vocal control. The decade saw a new writing team which introduced elements that would quickly become part of the brand – The Fortress of Solitude was invented by writer, Otto Binder who had been poached from rival title, Captain Marvel and Superman’s pal, Jimmy Olsen also made his first appearance during the decade. The 1960′s may have been the silver age for comics but it was the golden age for Superman, and when Otto Binder left the title in 1960 he left behind much of the groundwork that writers of the title would find useful in the years to come. By this period the character had now become well known in mediums other than comic books – he had conquered radio, TV and the early morning cinema screens. Kirk Alyn had become the first actor to portray Superman on the screen in 1948′s Superman which was a serial filmed for the Saturday morning cinema shows. But it wasn’t until the 1951 TV series that an actor really became synonymous with the character. With George Reeves in the title role the series ran for 104 episodes, from 1952–1958. The 1970′s would not only see Superman: The Motion Picture, which even today stands as one of the best superhero movies ever made, but also reveal that Superman was beaten up by Muhammad Ali in one of the most surreal comic books ever. There were a troubled few years mid decade when a new creative team tinkered with the character and delivered an almost unrecognisable supesiverse – Clark Kent now worked for a TV news station and was an anchorman and many of his powers were removed to make him more vulnerable. However falling sales soon meant that the older elements were brought back – Though Superman’s powers were never quite as great as they had been previously. It was during the 1980′s that Superman was really reborn in the comics – The Crisis on infinite Earth storyline saw much of the DC universe rebooted. After this Superman found himself in the capable hands of writer, John Byrne who steered the character through come classic adventures. One even had Superman kill when he executed three criminals from Krypton – things would never be the same again. The 1990′s dawned and by now comics had changed so greatly from the 1940′s titles that they were almost a different species, and no matter how many reinventions Superman had he was still firmly grounded in the 1950′s. 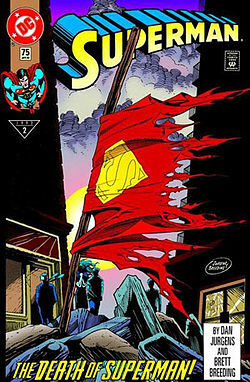 The answer was to kill him – 1992′s Death of Superman arc was a sensation and sales hit an unheard of six million copies of a single issue (Superman 75). The character did return as a long-haired bruiser in The Return of Superman but DC milked the death and there were many follow ups though none were quite as successful as the death and return arc. And now we enter the new millennium with Superman now bigger than ever – the Smallville TV series has won Emmies, there have been several big screen movies with three different actors playing the character, though thus far Christopher Reeves remains the definitive screen Superman. And in 2013 we will see yet another big screen version of Superman when Superman: The Man of Steel hits screens around the world.